The third part of the Regal Worm trilogy, Pig Views, hit the streets on July 13, 2018. For this installment Jarrod Gosling used a more song-based format and delivers nine songs, with two bonus songs on the pink vinyl double LP version. There are a number of strangely named songs such as “Rose Rubus Simlax Vulcan,” “Revealed as a True Future Tyrant,” “Rose Parkington They Would Not Let You Leave,” “Jag Vet,” “The Dreaded Lurg,” “Huge Machine You Are So Heavy,” and the bonus track “The Evil Eye Is Liquified.” All eleven songs feature Mellotron either in the background or as lead. The longer songs allow Jarrod to explore heavy psychedelic grooves, tempo changes, and mood shifts, with a mixture of bluesy jazz and Canterbury sound. I’m not clear how the album title Pig Views relates to the music, but the engaging songs take you on a variety of musical journeys. Chanted song titles, sounds of children playing, tasty sax riffing, female vocal harmonies, mournful organ, scratchy 78 rpm effects, poetic narrations, and reversed tapes enhance the songs. Some of the high points for me are the 15 minute song “The Dreaded Lurg,” with its shifting moods; the short 59 seconds of “Butterfly” with its vintage 20s jitterbug, poetic narration, and 78 rpm vibe; and the introspective “Huge Machine You Are So Heavy.” Quite a nice album with the bonus tracks engineered by the legendary Sean Magee (Rush, Beatles, Rolling Stones, etc.). 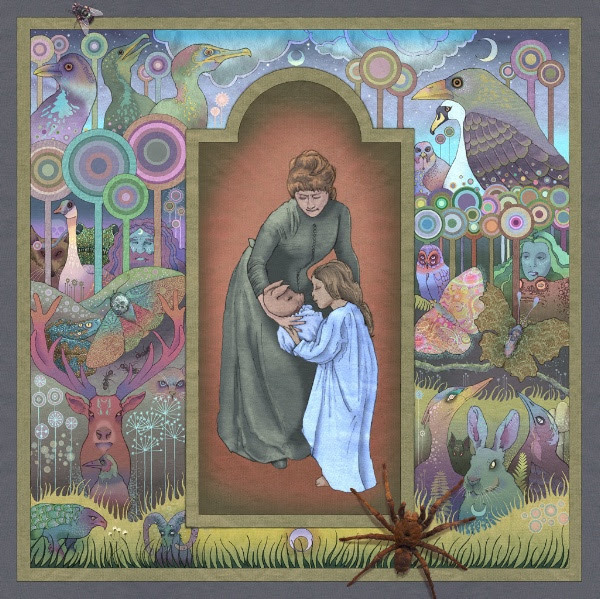 Surely every progressive rock fan in the world has been paying attention to Regal Worm by now. If they aren’t, it’s time to start. Pig Views continues the amazing run of Jarrod Gosling producing unpredictable, complex music that draws from classic progressive rock but sounds neither deviravative nor stuffy. He has a way of bringing together some of the best aspects of 70s music in a fresh way that is both instantly engaging and worthy of repeated listening. Although the arrangements overall are dominated by keyboards, the album’s first track, “Rose Rubus Smilax Vulcan,” starts out with a delicate acoustic guitar part and a lovely vocal melody that works into a surprising section featuring Latin (or pseudo-Latin) chanting kind of like Orff’s Carmina Burana crossed with the chanting section of “The Ancient” off of Tales from Topographic Oceans. Every track features its own unique qualities, like the harp in “Rose Parkington They Would Not Let You Leave” or the double-Mellotron melody (flute and strings) at the beginning of “Pre-Columbian Worry Song.” Pig Views features only one multi-part epic track, “The Dreaded Lurg,” which covers many moods and sounds over a bit less than 15 minutes. In the midst of all of the vintage keyboards, saxophones features prominently in several tracks, providing both chordal punctuation and lead lines. Sometimes keyboard-heavy arrangements can sound lightweight, with less sonic impact than music with more prominent guitar, but Gosling manages to give his instruments real heft, partly by density (such as the doubled Mellotron parts I mentioned), and partly bringing in other sounds like the saxes and the occasional guitar. In addition, the bass guitar is often presented high in the mix with a gritty tone. The production is also an important factor, imparting the illusion of a full band playing rather than one musician doing the majority and only a few guests. When it comes to progressive rock in 2018, one of the finest bands going isn’t even really a band, but from listening you might not know that, and it doesn’t matter when the result is this good.